It’s no secret that Red Shoes are Better than Bacon likes her shoes. Cool shoes always held a fascination for her. From Cinderella’s glass slippers to her mother’s yellow satin wedding shoes to the pair of shoes she’d select for that one school day each week when she would wear the non-corrective kind, shoes were magic. Red polka-dotted patent leather flats, shocking pink cowboy boots, black velvet rhinestone-trimmed Mary Janes, kitten heels, French heels, Spanish heels, Cuban heels, blue suede shoes. She would take measure of another’s worth by shoes and teeth. The wrong shoes or malocclusion were deal-killers. She would go on to water buffalo sandals, fringed Indian moccasins, Earth shoes, platform shoes, Jack Rogers sandals, high heeled boots, Charles Jourdan pumps, and Gucci loafers (a spare pair still unworn in the original box). One day in 1989, a cast on her leg and in search of Mephistos, she happened upon Frost Brothers’ going-out-of-business sale in San Antonio, spending an extra day en route to Mexico and stockpiling endless treasures which included multiple pairs of the most beautiful shoes in the world in lace-trimmed gold and silver, which still repose unworn. Finally, she settled upon Ferragamo Vara (priced then at $145 USD) in practically every color and fabric ever manufactured and Mephistos, which she first learned about through J. Peterman, who sold them for $180. By 2013, the same Ferragamos which once sold for under $150 had skyrocketed to just under $500 USD, and Mephistos, once made in France, were now made in China and leaped over the $300 mark. She had spent years snickering at the Mexican-made sensible shoes which looked like they were made for schoolchildren, old people and lesbians, not that there’s anything wrong with those people, mind you, but she was neither a schoolchild, nor old, nor a lesbian. And then one day, impelled by nothing more than curiosity and time on her hands, she dropped by a Flexi store. And life would change. Not the least of it was being able to find shoes to fit size 9.5 or 10 feet. These shoes were pure, natural leather, inside and out, well-made, light, and rubber-soled. 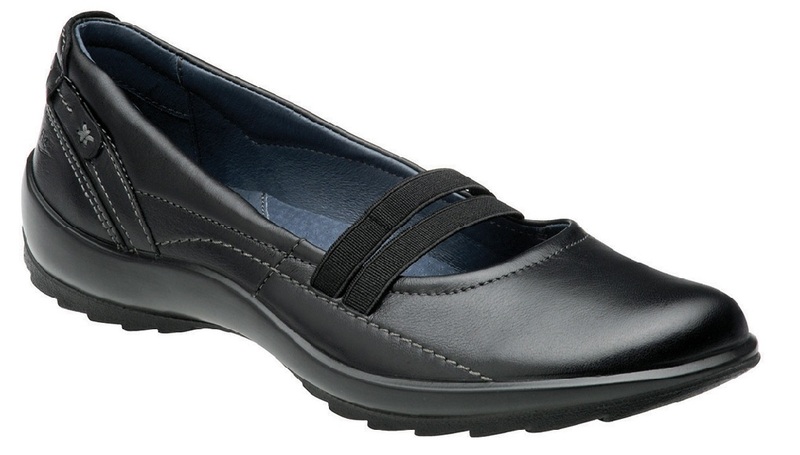 She bought a pair of what were marketed as School Shoes, simple round-toed, solid, good-quality black pumps. They were instantly as comfortable as old shoes, and she wore them all day long, almost forgetting to take them off before going to bed. And they cost less than $50 USD. She could never imagine that inexpensive shoes could feel so good. She would move on to sandalias pata de gallo (“Rooster feet sandals” sounds much better than thongs.) in three colors, plain and jeweled. She found a favorite pair of bronze ultra-lights that carried her through three continents. Fearful they might be discontinued, she stockpiled an extra pair. Now, there is a real problem with Flexis. They never wear out. Walk over cobblestones and adoquined streets, walk through puddles in the rain, drive in them, wear them to the market and to a fancy restaurant, subject them to abuse that would have Ferragamos crying for mercy, and they just kept on going. Flexis are the Everready Bunny and Timex of shoes. Once a week at the mall in Morelia, she would walk past a Mexican version of Michigan Ave.’s Hanig’s Footwear, a store selling fine shoes from Spain: Pikolinos, Hispanitas, El Naturalista. And she would admire the glove-soft leather, gawk over the constant markdowns, almost always coming to the hard realization those shoes seldom came in sizes that would match their price. And she would walk to the next block of the mall, stopping in at the Flexi store just to see what was new. She would marvel at quality of Flexis, even if most did come in a color palette designed by Henry Ford. “Any customer can have a car painted any color that he wants so long as it is black.” But then there were suede moccasins in purple, bright pink, cobalt and red. There just weren’t a lot of styles in bright colors. This is a conservative shoe, after all. High quality at an affordable prices does have its limits. Grupo Flexi is a genuine Mexican success story. In 1935, 18-year old Roberto Plasencia Gutiérrez started up a small workshop with very little money to make children’s shoes under the name “César,” changing the moniker along the way to “Duende.” In a decade’s time, production increased to 300 pairs of leather shoes a day, and by 1965, the company came to be known as Flexi. The nearly 300,000 pairs of Flexis produced each week in factories employing over 4,300 people in Leon, Dolores Hidalgo, San Luis de la Paz, and San Diego de la Union are not only sold in Mexico but exported to the United States, Canada, Costa Rica, El Salvador, Guatemala, Honduras, Nicaragua, and Japan. And the company’s still headed up the founder’s own son, Roberto Plasencia Saldaña. 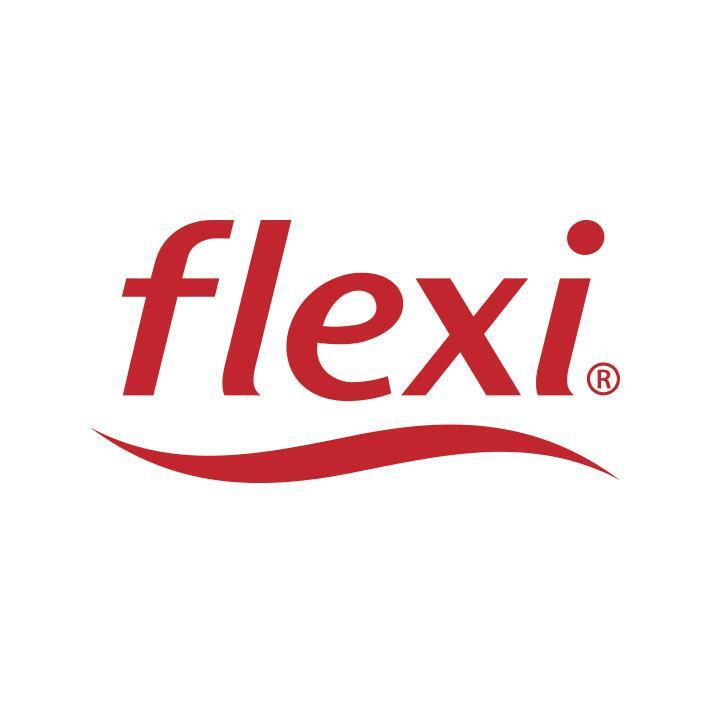 Flexi has 335 stores, and, if those are not enough, Flexis are sold online through its U.S. and Mexican sites. Red Shoes are Better than Bacon bids farewell to Ferragamo and Mephisto for now. 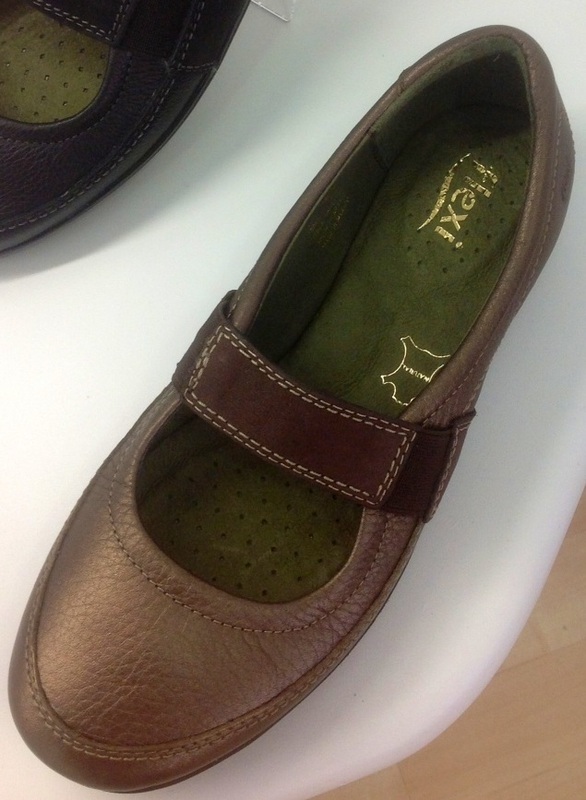 But she really, really wishes that Flexi would come up with red school shoes for her. Maybe she’ll just write the company president and ask.